10 out of 13 (76.9%) reviewers said they would recommend this vehicle to a friend. Best badge that you can get under 130k in its class. Great handling and looks. Not style without substance. Huge boot, great acceleration, great ability for tuning. Stage 3 has 350HP. Comfy cruiser but super sporty when you want it to be. So quiet inside almost like EV. More quiet than prius when travelling 100km/h. Got my first VW Passat 1.8 highline last week. Great car to drive. Fast acceleration. Very spacious interior and nice interior lighting ambience at night. Interior finish is nice with clean design. Sunroof added a spacious feel. Nice infotainment system which includes GPS, Carplay support, Auto Android and Bluetooth for mobile. Massage and memory function available at driver seat. Spacious boot. Back seats fully foldable. Exterior design is simple and clean look. LED head lights with daylights LED. 5 years warranty! Not sure why there are negative comments about Passat. But price wise, this car provide more values as compared to XE, 318, A4 and C180. No value for what you pay! testing car sound insulation is good. But delivered one is different. May be tires, engine oil, tuning are different. Park Distance Control sensors are out of order. It may warn you without blocked object, it won't warn you with a block object sometimes. it is better to go with PDC. vw customer care, then don't try to understand your problem. Just keep you in and out of workshop. Waste your time. Own this car few months. Engine is good. Nice Space. Have some issues and went back to workshop many times already. 1. Sunroof Noise, steeling wheel Noise. Workshop can't fix them. 2. Acceleration is quick but not smooth at lower gear. Jerk! Jerk! Jerk! 4. Dynaudio speaker exists in name only. 5. Discuss with other owners at workshop. Please think thrice before you purchase VW. Even after DSG incident, emissions scandal, Supplier dispute,i don't feel any service improvement. 6. Afraid this review to be deleted can't say more. Finally it was time for an upgrade to the continental segment after years of being thrifty! A competition between the Audi A4, BMW 3 Series and Mercedes Benz C Class was the popular consideration back then, but i believe a new dark horse is chasing up. The Volkswagen Passat 1.8 TSI has impressed many with it's performance, built quality, interior spaces and needless to say, it's good looks. As most of us Car Enthusiast will already know, the Passat is actually on the same platform as the Audi A4. With the similar TSI/TFSI Engine(2015 A4 Model), 7 speed DSG gearbox and the same Chassis platform as well. The interior cabin space has made many heads turn towards the New Passat as it is very much comparable to the A6 instead. Built quality of the interior is surrounded with soft leather and up to Techs with the Highline version. Lastly, if moolahs($$) is the main buying factor, in which will apply to most of us Singaporean. The Passat is having a depreciation of only $14k/annual as compared to A4's $16k/annual. Or you desperately want a Luxury Continental Passat, you can go for Volkswagen's pre-owned department for it's management units like me, who gotten mine at a depreciation of only $11k-13k/annual. Only ExclusiveLine version have electric tailgate, other than that, all met my expectation. Test drove this car few months ago and general feeling is a stable car with reasonable nice interior. Sale rep told me the trimming is comparable to Merc E class but after viewing C class I beg to differ. 1. stable and quiet car. 2. accelerator pedal is hard. General feedback feel is not responsive and need some efforts to floor it down. 3. Acceleration is fast but not really smooth. Gear drag and change are obvious as if the car is working very hard to hit the speed. 4. Limited safety features and control as compared to other german premium brands in market. 5. Target audience mostly are uncles upgrade from Jap-make-car like Toyota Camry. 6. Steering wheel design look weird. 7. Overall package offers by VW is not competitive as compared to other authorized dealers. Went to test drive it. Been thinking of changing my Golf to something with a boot. Gave my SE a call and he recommended the Passat 2.0. Test drive it along Jervois road. The feeling was how can such a big car handle as good as the golf. The VW Passat is beautifully designed and is a comfort to drive. Powerful and gear changes very fast / seamlessly, possibly because this is on a wet clutch as compared against its other cousin. Hence it gave me comfort to know it is more reliable. Interior is comfortable and nicely done up. Lots of features and for that price, I think it is worth it. Car is also roomy and bootspace is sufficient for me to put in baggages and children's pram. Tested and Booked Passat Highline. Passat is generally compared to the likes of Mazda 6, Camry and Accord, however with the current version, the Passat has definitely up-classed to Merc Bmw level. The interior is spacious, especially with the panoramic sunroof opened, with good visibility all around. The dash is logically laid out, buttons, console and materials used feel and look premium. Cabin insulation is very close to C class, or even better. There is very very little tyre and wind noise. Boot Space has a big opening, with folding rear seats for added practicality. Leather seats are very comfortable and the massage + memory function is a welcome addition. Footwell space is roomy with a dead pedal to put your left foot. DSG7 issue has been rectified by VW and performs flawlessly. Gear changes are smooth and there is ample power throughout the rev range. Steering is light and have sufficient feedback and with the feel of a much smaller car. The gas pedal is top-down instead of bottom-up. Active Info Display not offered as standard. Ventilated seats should be standard considering hot climate. One of the best-looking Volkswagen in town. The new Passat comes with an updated corporate profile with LED lights front and back. Slightly longer and wider than its predecessor, the car has a stronger road presence and at the same time provides more interior spaces for the comfort of the passengers. The updated 1.8l engine with 7-speed DSG gearbox provides a smooth and comfortable ride. When extra power is needed, the turbocharger will ensure sufficient torque and power is supplied. The new Passat is definitely one of the best-buy executive sedan in the market. Was interested by the new 2.0T 6 spd DSG Passat that arrived this week. It was my first time seeing the new passat b8 in the flesh / metal. Totally smitten by the good looks, and very luxurious interior. Rear leg space is plentiful and boot space impressive. I did not get a chance to test drive the 2.0T but test driven the 1.8T. Not disappointed at all as the road handling is good, and the 180 horses churned out a lively spirited drive. Hardly need to break a sweat from traffic light to the next. Today I took the opportunity to test drive the new Passat, one of the more popular family car models around. From the get go, I was quite impressed with how the car looks, quite modern and sporty, compared to some of the older Volkswagen models. The inside of the car was incredibly well equipped, spacious and comfortable. Everything looks pretty high-end and well constructed. Lots of tech gizmos too, with bluetooth, a pretty solid sound system and automatic headlights. Must especially point out the rear seats, which are extremely spacious. Driving the car, it gave a me a very strong sense of confidence on the road with its solid handling, accurate steering and very, very comfortable ride. The ride quality compares very favourably to more expensive saloons like the BMWs and Mercs. Authorised Distributor Volkswagen cars are Volkswagen Arteon Reviews, Volkswagen Beetle Reviews, Volkswagen Beetle Cabriolet Reviews, Volkswagen Beetle Dune Reviews, Volkswagen Golf Reviews, Volkswagen Golf GTI Reviews, Volkswagen Golf R Reviews, Volkswagen Golf SV Reviews, Volkswagen Golf Variant Reviews, Volkswagen Passat Variant Reviews, Volkswagen Polo Reviews, Volkswagen Sharan Reviews, Volkswagen Tiguan Reviews, Volkswagen Touran Reviews, Volkswagen Transporter Reviews. Parallel Imported Volkswagen cars are Volkswagen Amarok Reviews. sgCarMart is the number one car site for buying Singapore cars, including new cars, parallel import cars, Toyota, Honda, Nissan, Volkswagen, Mitsubishi & BMW. 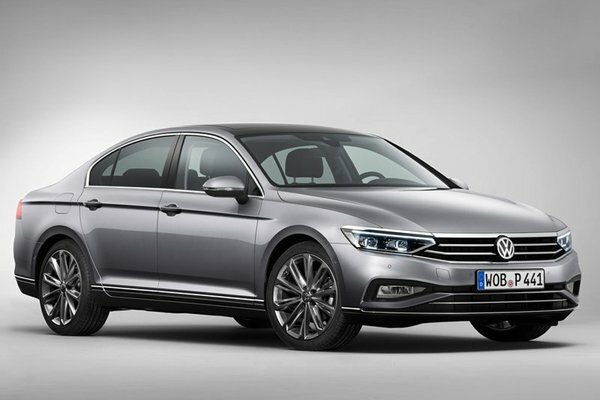 We have new car dealers comprising parallel importers, authorised car distributors, and used car dealers who have the New Volkswagen Passat latest price Find new car pricelists, new car launches, new car promotions, new car reviews, latest car news & car articles. Read the New.Volkswagen Passat consumer reviews to help you decide on buying a car. Also join our car discussion and forum discussion for car reviews, motoring news & motoring guides. Visit our partner sites who have job openings for Singapore jobs, Singapore classifieds, mover and real estate properties for sale.